BlacksheepOffroad provides professional 4x4 driving instruction and training. Regular group courses are conducted from our Georgetown CA location, and fully outfitted multi-day trips are scheduled seasonally on California's famous Rubicon Trail. Regular group classes are scheduled throughout the fall, winter, and spring months, October through April. Courses fill up fast, so book ahead! Class size is kept small for maximum effectiveness. Private courses are available by appointment, year-round, 7-days a week, so that your course is tailored to your specific vehicle, skill level and interest. The Rubicon Trail is quite possibly the most famous Jeep trail on the planet. Originally, a stagecoach road through the high Sierra Nevada mountain range, the “road” has become an iconic test of endurance and skill through breathtaking granite mountains. Take three days and drive twelve miles of aggressive terrain to make memories that last a lifetime! We offer all inclusive, guided trips for you and your own modified rig. Blacksheep Offroad will guide you safely through this rugged and gorgeous country, prepped with everything you need for a fun adventure. No previous experience required! 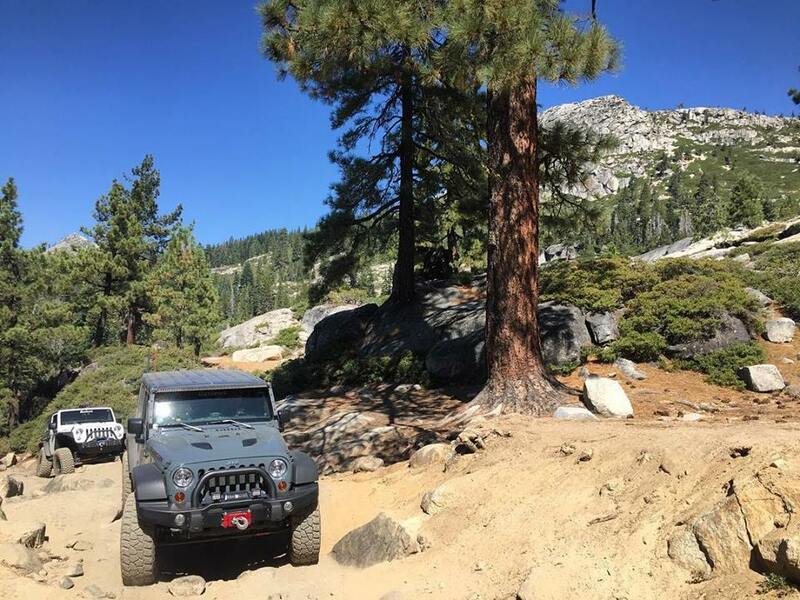 A Blacksheep Offroad trail guide will guide you through the trail, and provide you with tips and tricks to build your 4-wheeling skills and help you learn all about the wonderful Rubicon Trail. Multi-day guided trips on the Rubicon are offered seasonally from June through October, check out our calendar below for upcoming trips! Three days and two nights on the trail. Recommend 7 years of age or older for children. See Course Calendar Below to Book Online. BlacksheepOffroad can provide everything from simple daily guide service to full trail and camp support. Enjoy a personalized Rubicon experience tailored to your specific needs. Great for anything from family reunions to movie shoots to product testing to military training. Email or join our newsletter list for the most current pricing and availability. Call to book any course. © Copyright 2016 blacksheepoffroad.com. All Rights Reserved.